Let’s start with the basics: Richard Litzau; I have two children, Jacob and Elizabeth; and four grandchildren, Kyle, RJ, Stephanie, and Simon. My son lives in Albuquerque; my daughter in Denver. Not a widower; I was divorced, and my marriage was annulled by the Church. 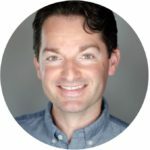 Born and raised in Denver, I attended Catholic school and a Jesuit high school and graduated from the University of Colorado (Denver) with a BA in Education, Rehabilitation Services. I’ve been a corrections counselor, a probation officer, a hospice chaplain, along with other jobs over the years. I have 5 siblings, a sister and four brothers. Although I’m seen as a “late vocation,” I believe that I simply was in formation for a very, very long time. I spent the year in the novitiate, studied in St. Louis, was ordained in 2005, and assigned to our new house in Bloomington, Indiana. The six years at the parish/Newman center on the IU campus were formative. My time at the Aquinas Newman Center in Albuquerque was typically Dominican. I’m not a Dominican; I’m becoming one — always learning, growing, praying, studying, and ministering. I consider it a privilege and an honor to be here. My mantra, for a long time, has been: “Service to God through service to God’s people!” and it is a commitment that I strive to meet. I am a natural introvert and tend to be a quiet, observant individual. Observations to the contrary are a result of over-compensation on my part. As my time here unfolds, I look forward to meeting all of you and, with a little practice, hope to be able to remember your names. I grew up in Rancho Cucamonga, California. Although baptized in the Disciples of Christ Church, I wasn’t much interested in religion until someone invited me to Mass during my freshman year at Thomas Aquinas College. Mass was in Latin, with incense and silence and Gregorian chant. I didn’t know why, but I wept through the whole thing. It was clear to me that these worshippers believed that something more that human was happening in that little chapel. Later, I learned about the Catholic belief in the Eucharist. I received instruction, and soon entered the Catholic Church. In my gratitude for the sacraments and the Catholic faith, I suspected that I might have a priestly vocation. A few years after college, I entered the Canons Regular of the Immaculate Conception, a small religious community in Santa Paula, California. I studied theology at the Angelicum in Rome, where I was blessed to live for three years. After returning from Rome, I requested a transfer to the Dominican Order, beginning a three-year trial period, which I spent in Denver, then St. Louis, then Bloomington, Indiana. I took solemn vows in the Dominican Order and was ordained a priest in October 2016. After ordination, I completed a degree in sacramental theology from the Liturgical Institute in Mundelein, Illinois, and became Associate Pastor here at the Newman Center in July 2017. 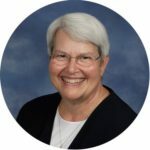 Sr. Karen Freund, the youngest of five children, grew up in Crystal Lake, Illinois, where St. Thomas Parish School was staffed by the Dominican Sisters of Springfield, Illinois. Their joyful presence — and her extended network of family and friends — helped her discern God’s call to become a Dominican herself. She earned a Bachelors in English and Secondary Education at DePaul University, a Masters in English at the University of Notre Dame, and a Masters in Pastoral Studies at Catholic Theological Union. She is also certified in Formative Spirituality, Biblical Spirituality, and Spiritual Direction. Sr. Karen has been a teacher, novice director, parish director, Congregational leader, and spiritual director. While missioned in Warrensburg in 2010, she was invited to Newman when a Retreat Director suddenly canceled. An offer to provide a few days of spiritual direction each month followed. Finally in July of 2012, she accepted her present position as Pastoral Associate/Spiritual Director. She marvels how all her previous ministry experiences dovetail with this present one. Deacon Gene is a native Chicagoan who came to Columbia in 1992 with his wife, Ginger, after a successful career as an Army Nurse Corps Officer. He received a Diploma in Nursing from Alexian Brothers Hospital School of Nursing in Chicago, a BSN from De Paul University, Chicago, and a MA from Webster University, St. Louis. He worked at Boone Hospital for eight years before retiring again. He was ordained a Permanent Deacon for the Diocese of Jefferson City by Bishop John Gaydos in 1999. Shortly afterward, he undertook a course of study to become a Clinically Trained Hospital Chaplain and is a member of the National Association of Catholic Chaplains. In addition to his parish Diaconal duties, he is the Diocesan Coordinator of the Columbia Catholic Hospital Ministry. 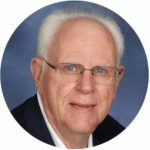 Over the years, he and his wife Ginger have been involved in various parish ministries at Newman. They have three adult children and five grandchildren. Favorite thing about Newman: It has always been the dynamic Liturgy. Deacon Frank is married to Laura and has one married son and one tremendous grandson here in Columbia. He is from SE New York (don’t look for an accent) and attended Catholic schools K-12. He graduated from Cornell (BS/Horticulture), Penn State (BS/Meteorology), and Central MO State University (MS/Safety Management). 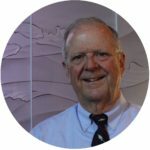 He spent 28+ years in the U.S. Air Force and retired to Columbia in 1996, when they joined the parish. He’s worked in a bagel shop, for the City of Columbia (Recycling), and the Department of Revenue (Motor Vehicle Bureau.) After a military career based on service, the diaconate was a logical next step in his life. 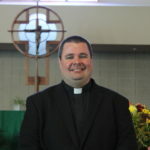 Frank was ordained in May 2007 and was assigned to the Newman Center where he does baptismal and marriage prep, and, when that fails, he also does annulments. Additionally, Frank does weekly communion services at two senior care facilities in town. Angie started working in the business office at St. Thomas More Newman Center in September 2013, but she and her family have been parishioners here since 1996. She is a graduate of the University of Missouri and worked in the advertising/marketing field for 10 years. 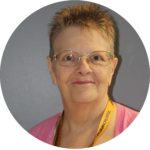 She was blessed to be able to work from home while she and her husband, John, raised their four children, and when it was time to go back to working outside the home, she was thrilled that the opportunity arose to be a part of the St. Thomas More Newman Center Staff. 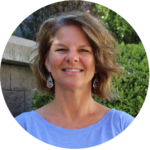 JoAnn began working at the Newman Center in July 2008 as the Assistant Director of Campus Ministry. She grew up in St. Louis and attended college at Truman State University. 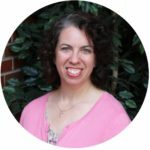 After graduating, JoAnn worked for a year in their Admissions Office and then came to work for the Newman Center as the Assistant Director of Campus Ministry. 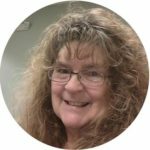 In 2012, JoAnn completed her Masters in Theological Studies through Quincy University and also obtained certification in campus ministry. In 2016, JoAnn began working in the development office. 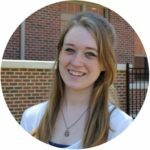 She is involved in the Catholic Campus Ministry Association as well as the University of Missouri’s Association of Campus Religious Advisers. JoAnn enjoys spending her free time her husband and two boys, Luke and Isaac. She loves cooking and enjoys spending time at the Farmer’s Market with the family on Saturdays. She also enjoys scrapbooking and traveling. At Newman, JoAnn enjoys spending time with the student community and meeting parents and alumni. Favorite thing about Newman: The integration of the many generations in worship and service! 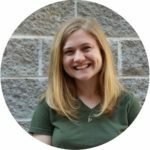 Theresa started as the Communications Coordinator at Newman in May 2017, but she was the Communications Intern under Joe Bradley for the 2016-2017 academic year. Born in DeKalb, Illinois, Theresa is the youngest of three. She grew up in a loving, Catholic family and came to Mizzou to study journalism. She first encountered Newman during the 2013 Fall Welcome Week and lectured at the 8 p.m. student Mass for the next 4 years. 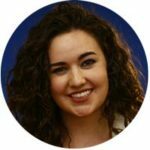 Although she worked at publications like The Columbia Missourian and Inside Columbia magazine, her favorite internship (other than at Newman) was doing communications for a non-profit foundation in Barcelona, Spain. The semester before she graduated, Theresa was applying to journalism jobs when Joe Bradley announced his decision to leave Newman. A week before taking over as Communications Coordinator, Theresa graduated from Mizzou with degrees in Political Science and in Journalism. She doesn’t quite yet know what to do with all her free time now that she’s done with school for the near future, but she’s excited to experience Columbia as a more permanent residence. She has a list of books to read and one day hopes to publish a nonfiction book of her own. She doesn’t have a lot of plans for the future, but Theresa is thrilled to remain in Columbia and continue working for the Church that had become her home during college. Favorite thing about Newman: The people you meet here are filled with true joy and happiness. Lisa Rose is a Mizzou alum and was active at the Newman Center as a student. Over the years, she’s volunteered in a variety of ministries in the parish. 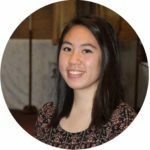 Since 2001, she has been on staff in the position of RCIA Coordinator. She finds working in initiation ministry rewarding and particularly enjoys the people with whom she interacts. 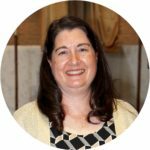 She also serves on the RCIA Subcommittee of the Diocesan Liturgical Commission. Favorite thing about Newman: Newman has been my spiritual home since my days at Mizzou. I appreciate my diverse Newman family as well as the fertile ground this community has provided for faith formation for myself and my family. Kelley Burns is a (mostly) native Columbian and long-time Newman Center parishioner. She was involved with Catholic Campus Ministry at the Newman Center during her time as undergraduate at Mizzou and served in several different leadership roles. She was a core member for the Life Teen program in college and also participated in music ministry. She was the co-director of the student Mass choir while in college and then became the music leader for the 5 p.m. Mass choir. Kelley has a Bachelors in Music Education from the University of Missouri and a Masters in Arts Integration in Education from Lesley University. She spent six years teaching music with Columbia Public Schools. From 2010-2013, she served as the Director of Youth Ministry for CoMo Life Teen. Currently, Kelley is pursuing a liturgy certificate through the University of Notre Dame. Kelley and her husband, Mike, spend the rest of their time with their four children: Emma, Andrew, Reece, and Luke. They enjoy hiking, playing games, Mizzou sports, and lots of coffee. 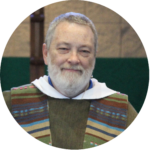 Joe Kouba, our liturgist/music director since August 1982, grew up in suburban Chicago. He became involved with music ministry through the Newman Club at the University of North Texas. 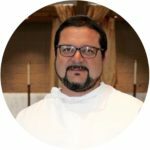 Joe has a Bachelors Degree in Music Composition from the University of North Texas, and a Masters Degree in Pastoral Studies with emphasis in liturgy, from Loyola University, New Orleans. He also studied at St. Meinrad School of Theology for a short time. While at North Texas, he was also a member of the gymnastics team. He and his wife, Melissa, have three children and four grandchildren. Hobbies and interests include biking, hiking, and anything related to railroads. 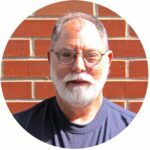 Favorite thing about Newman: Joe loves the energy of a campus ministry parish with the vitality of the students and the stability of the residents. Trent first arrived at the St. Thomas More Newman Center in the fall of 1999 as a student studying music education at Mizzou. 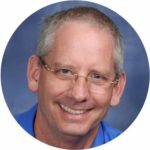 Fast forward nearly twenty years, and he is honored to have the opportunity to enhance the liturgy through music and thus to help create a prayerful worship experience for both the students and parishioners that come to Mass every week. Trent is in charge of all of the liturgical ministry trainings and scheduling at Newman, as well as helping to lead music regularly at the 5 p.m. Saturday Mass. In addition to a BS in Music Education, Trent also has a MM in Vocal Performance, also from Mizzou. Trent rounds out his time by teaching half-time at Stephens College as an Assistant Professor of Music & Musical Theatre. He is also the Executive Director of the Summer Theatre Institute and manages a private voice studio, RashMusik. Trent enjoys spending his precious free time with his beautiful wife, Jacqueline (whom he met and married at Newman), his three energetic kids, Claire, Elliot, and Anderson, and his sweet dog, Toby. Angelle joined the staff at Newman as the Director of Campus Ministry in June 2007. Angelle hails from New Orleans, Louisiana, and graduated from Loyola University New Orleans with a B.A. in mathematics (minor in education) and later a Masters in Religious Education. Angelle taught at St. Mary’s Dominican High School in New Orleans before moving to Missouri. She also served on the New Orleans TEC (Teens Encounter Christ) Core Group and as a mentor on the archdiocesan teen leadership team. Angelle is a past president of the Association of Campus Religious Advisors at Mizzou (2011-2014) and served as director of the national Campus Ministry Leadership Institute (2011-2014). Angelle became a certified campus minister (recognized by the USCCB) in 2013 and currently serves as co-chair of the Certification Committee of the Catholic Campus Ministry Association. She is passionate about walking with others as they grow into who the Lord is calling them to be. Angelle enjoys reading, dancing, and spending time with her family and friends, especially her husband and son. Favorite thing about Newman: There are many inspiring students, alumni, resident parishioners, and staff boldly living and proclaiming God’s love here! It is a privilege to be a part of this family! 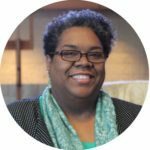 Yvonne began her time at Newman as the Assistant Director of Campus Ministry in the fall of 2016. She was born and raised in Kansas City, Missouri, but grew up in Minneapolis, Minnesota. Yvonne graduated from Stephens College with a B.F.A in Fashion Design and Product development (minor in business). After graduating, she spent several years working in the field of fashion before returning to her alma mater. She worked in student development at Stephens until 2014. Yvonne recently graduated from Walden University, with an M.S. in Higher Education College Teaching and is pursuing a doctoral degree in Higher Education and Adult Learning. Yvonne is an active member of Sacred Heart Parish where she began volunteering at Room at the Inn, Emergency Winter Shelter in 2011. For the last two years, Yvonne served as the coordinator for Room at the Inn. However, she was excited to return to work among the student population. Aside from her duties at Newman, Yvonne is still an active member of the Room at the Inn planning committee. She serves on the board of Access Arts, volunteers in the community, and supports the Alzheimer’s Association. Yvonne is also a chartering member for the Central Missouri (MO) Chapter of the Links, Incorporated. In her spare time, Yvonne enjoys reading, traveling and spending time with her family and friends. Favorite thing about Newman: Growing in my relationship with Christ with students and peers who are so passionate, welcoming, and supportive. Allison began as Resident Campus Minister in June 2018 and is the first to have this position with its new title, recently established as a full time position. 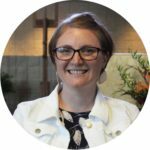 Originally from Union, Missouri, Allison is a recent graduate of Benedictine College in Atchison, Kansas, with a degree in Evangelization and Catechesis. One of her favorite experiences during her time in college was her two years as a Resident Assistant for freshmen women, and she hoped to find a job that was similar after graduation. While applying to numerous ministry positions, St. Thomas More Newman Center was her number one pick because it was close to home and she could continue to work and live with college students. She was thrilled when she received an offer for this position. In her time here so far, Allison has been enjoying all the things to do in Columbia, the largest town she has lived in yet. She especially enjoys exploring the many walking trails, coffee shops, and ice cream places. She would not pick anything different for a first job out of college and she excited to see where God will lead her from here. Favorite thing about the Newman Center: That I can call it home. Renee grew up in the south St. Louis suburbs before heading to Columbia for college. She spent her time at Mizzou majoring in Journalism, minoring in Theatre and spending plenty of time (not) studying at the Newman Center. After graduation, Renee went back home and accepted a position working in communications at a parish in the West County area. Youth ministry had been on Renee’s heart for a few years when she heard about the opening at the Newman Center and Sacred Heart. 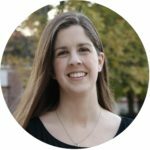 She moved back to Columbia after just one year away and began her job as Director of Youth Ministry in June 2018. Renee is thrilled to be back in Columbia. The city completely stole her heart when she was here for college and has always felt like a second home. Her favorite hangout spots are the Big Tree, Capen Park, the Understudy, and Newman’s reservation chapel. She enjoys ice cream, life chats, cats, longform journalism and dancing. Favorite thing about Newman: The integration and collaboration of people from all different age groups and backgrounds working together for the greater good – to spread the love of Christ to everyone they meet. 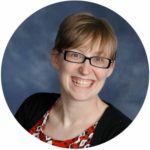 Emily Shull started as the Director of Religious Education in July 2013, but she also held the position of Campus Minister from 2006-2008. She was also the Campus Ministry Intern for the 2005-2006 academic year. She received a MAPS in Theology and Ministry from the Dominicans at the Aquinas Institute in 2010 and was able to meet many young Dominicans who will hopefully have the opportunity to serve our parish in the future. Emily is a very proud graduate and a huge fan of Mizzou. Her and her husband Kevin were both in Marching Mizzou and love to play with the band at the Homecoming football game. The Newman Center is where her love of teaching really solidified when she taught first and fourth grade CEP as a student. Between her experiences in Campus Ministry, she served as Youth Minister at All Saints Parish in St. Peters, Missouri. Her husband Kevin is a graduate of the MU Vet School and they have two kids, Cecilia and David, who are sadly still too young for CEP, but are excited to start soon and often come to our family fun nights. Favorite thing about Newman: Newman is a community that values and invests in education for everyone from kids to adults. We’re a community of seekers where good questions are as important as good answers. Karianne Bolduc is excited to be a first-year FOCUS Missionary at Mizzou. She was born in Upland, CA and her family now resides in Fort Collins, CO. She graduated from Benedictine College in 2014 with a degree in Psychology. It was through a bible study she led with her teammates on the Raven Dance Team that she learned of the joy which comes from growing in friendship and knowledge of the Lord through small group bible studies. She cannot wait to share this opportunity with the students at the University of Missouri. A few of Karianne’s favorite things include dancing, musicals, her golden retriever Weis, and spending time with family. Favorite thing about Newman: The welcoming atmosphere created by the priests, staff, and students!